Open Print settings from the File menu. Under Settings, choose the type of output to print. Choose the Print Layout. 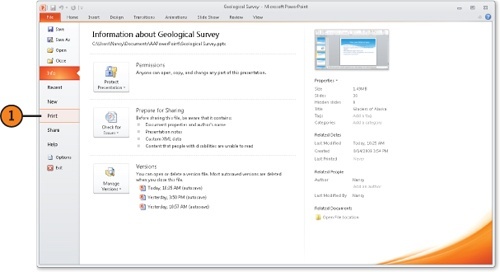 If you select Handouts, click the number of slides per page you want and select whether to add a frame by selecting Frame Slides. 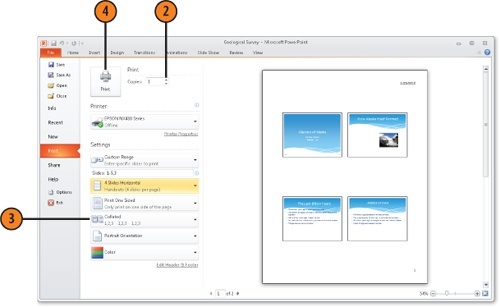 Choose a horizontal option in the Handouts area to print pages with multiple slides progressing from right to left across the page. 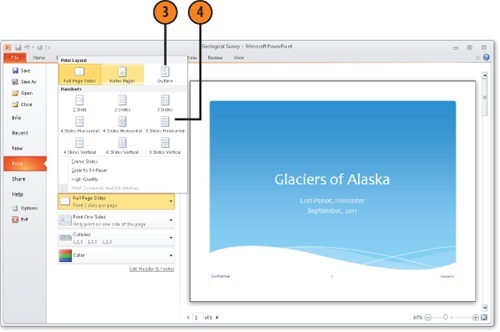 Click a vertical option to have slides progress down the page along the left margin and then move to the top of the right side of the page in a second column. In the Copies box, click the spinner arrows up or down until the number of copies you want to print appears. Click Collated to collate the pages of multiple copies. 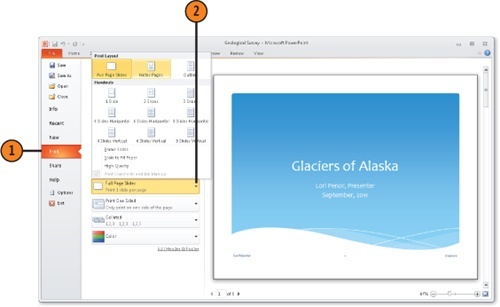 Use the Print Sides button to print on one or both sides of the paper.